If your credit’s taken a hit because of bankruptcy or a financial hardship, or you’re trying to establish credit for the first time, you may only be eligible for a secured credit card. These types of cards are a good first step in building credit, but they tend to be more expensive than unsecured cards. If you’re shopping around for a secured credit card, you need to know what to look for to ensure you’re getting the best deal. A secured credit card requires you to give the card issuer a cash deposit as collateral in exchange for opening the account. Depending on the card, the initial deposit may be as little as $50 or as much as $500. Typically, your credit line will be the same or a little less than your deposit. Often the credit limit is 50% to 100% of the security deposit, though some card providers will offer credit limits of more than 100% of the security deposit as a promotional incentive. You may be able to increase your limit by giving the credit card company more cash or you could be rewarded with an increase for having a good payment history. 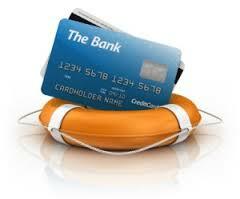 An unsecured credit card requires no cash deposit and they generally offer much higher credit limits. With some exceptions, most credit cards charge members some kind of fee and they tend to be higher for secured credit cards. When you’re comparing secured credit cards, one of the most important things you should pay attention to is the fee structure. Some of the fees you may be charged include an application fee, an annual fee, a monthly service fee, deposit fees, or transaction fees on purchases and late fees. Before you sign up for a particular card, you should ask for a complete fee schedule so you know exactly how much the card will cost. You also need to read the fine print carefully to make sure you’re not being charged for any unnecessary services, such as an insurance plan or a fee for increasing your credit limit. Since secured credit cards are targeted at people with either no credit or bad credit, the interest rates tend to be much higher than you would get with an unsecured card. You may not think that having a high interest rate matters if you have a low credit limit, but if you’re carrying a balance from month to month, your purchases become much more expensive. For example, if you owe $300 on a secured card with an APR of 29.99% and the minimum payment is $15, it’ll take you over two years to pay off the balance and you’ll pay more than $100 in interest in the process. Look for a card that offers you the lowest rate possible and pay extra attention if you’re signing up for a card with an introductory rate. With this type of deal, you get a low rate for a set amount of time, but it can increase significantly when the promo period ends. When you’re looking at secured credit cards, it’s important to take in the big picture. The right secured credit cards can offer some of the best savings in terms of interest and fees. They report regularly to the 3 major credit bureaus, and you will be able to monitor your credit with access to your credit score and additional tools. Not all secured credit cards are alike so it’s essential that you take the time to research your options to make sure you’re saving the most money possible. Once you get a secured card, make sure you’re paying on time and staying within your credit limit, which can help boost your credit. Over time, your credit should improve enough to qualify you for an unsecured credit card.